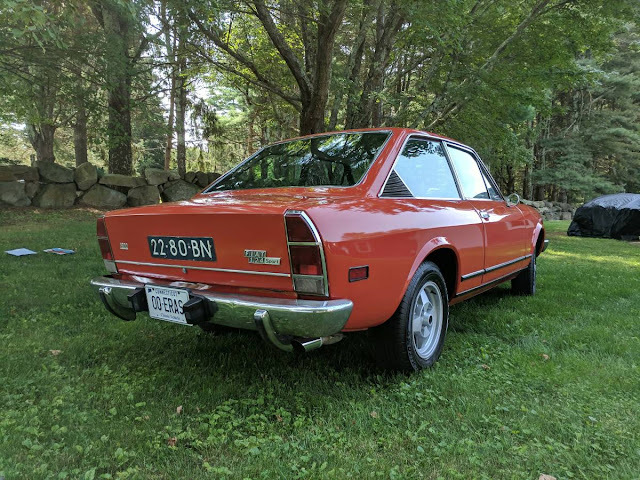 The 124 Sport Coupe was a 2-door three-box styled classic (with the nickname "Tartufo," Italian for truffle) from Fiat designed by the same guy who penned the Ferrari 250GT, Fiat 600 and Simca 1000. The final iteration of the Sport Coupe was the CC version that included revised front/rear styling and a bigger engine. The 4-cylinder all-alloy powerplant puts out 100 horsepower via a 5-speed manual gearbox into the rear end. They are typically very expensive, so I'm not sure why this one is so cheap! 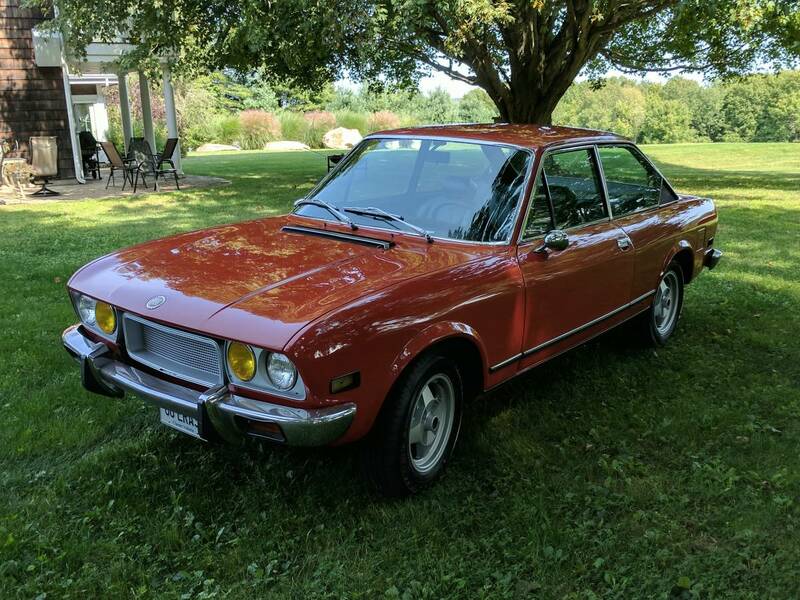 Find this 1973 Fiat 124 Sport Coupe offered for $8000 in Stonington, CT via craigslist. Tip from Rock On! Very rare 124 Fiat Sport Coupe. 1600 5-speed . Very solid, no rust holes, runs and drives nice. Unusual (and correct) deep orange color, been repainted at some point in its life, years ago before I owned it. Paint job is single stage and could use some orange peel knocked off in some areas. solid floors and trunk, etc. Rare and hard to find 1970s BWA mags, new (under 100 miles) tires. Everything works, ready to use. 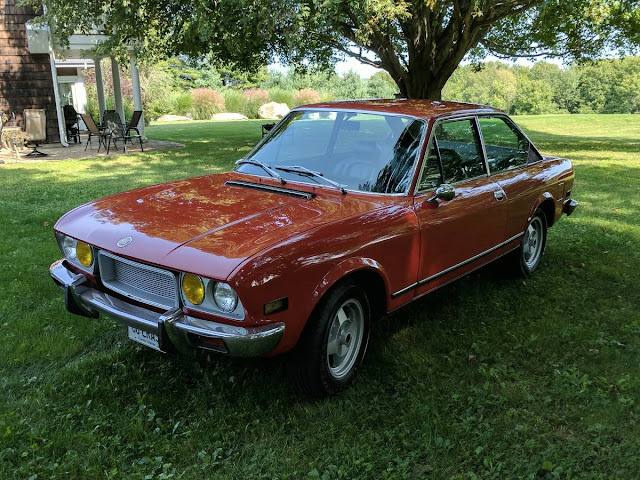 While these are few and far between and rarely come up for sale, they are easy to own as they share all mechanicals with the very common Fiat 124 spider. This car was delivered new with a single 2 bbl weber DGV downdraft with emissions controls built into it...it sits in a box and it now has the modern version of this common weber DGV carb on it. Other than that and a CD player the car remains completely stock. Includes a box of spares and the original steel wheels with hub caps. Odometer says 816xx and works, but I have no idea of the real miles over the 44 year history. Clean Connecticut paperwork in my name...no paperwork stories. Due to the sea of spam/scam efforts nowadays, you MUST leave your name and a working phone number in any reply. I will call you. I will not text and email back and forth. The car is located in North Stonington Connecticut near Foxwoods casino. I have a very flexible schedule to show the car, I will only listen to offers in person after you have seen the car in person. I might take trades..I like lots of different types of classic cars, and I need a diesel truck or SUV, send me info and PICTURES and price of what you got. Land rovers, suburbans, 7.3 fords, european and domestic classics, etc. a better way to drive Fiat? south of a well-sorted 2300S, there's no way. Damn- I identified as female today wanting to scam. A CC for AC money..